Lady Serillian and her highly skilled and incredibly dangerous Inquisition Team. An Inquisitor of the Ordo Xenos, the Lady Georgene Serillian is the senior representative of her Ordo in the Corvus Cluster—and a calculating and ruthless opponent to all enemies of the Imperium. 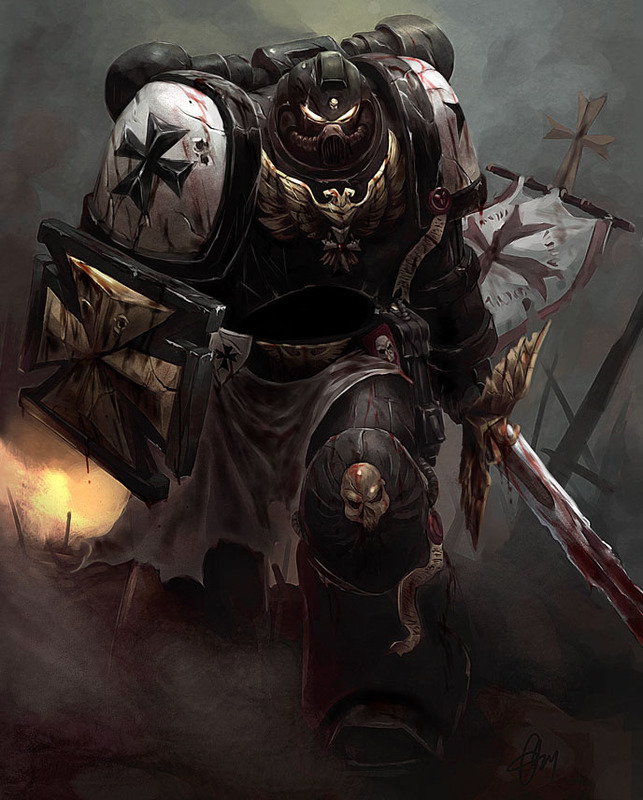 Unlike more Puritan-minded members of her order, Serillian has no personal animosity toward xenos and recognizes that many peaceful species have been eliminated by the Imperium. Yet, she accepts that any technologically advanced xeno race is a potential threat to humanity’s rule of the galaxy and, as a matter of policy, must be driven to extinction. Although she is a formidable fighter, the 110-year-old Inquisitor prefers to work in the background, directing a cadre of acolytes and apprentices to do her dirty work. She is the ultimate chess master with a host of pawns at her disposal. One of her more senior acolytes is Approbator Adonai Drusus, who recently has served on the moon of Dar Sai and the Necron-controlled world of Drysilian IV. Although much of her career has focused on fighting xenos, the Inquisition is spread thin across the vast galaxy, and Serillian has devoted considerable time over the years to the threat of witches, traitors, and daemon incursions. She was instrumental, for example, in directing the Knights of Altair to the world of Yangon, where they foiled a pending rebellion instigated by the Chaos sorcerer Voloh Gudag. With a career that spans generations, Serillian has developed a close relationship with the Deathwatch, particularly those stationed at the Watch Station Vigilia (or Shadow Watch Station), which was secretly constructed in the Corvus Cluster in M37. It is from this station—as well as her personal Strike Cruiser—that she commands what’s designated as the Xeno-Conclave of Vigilia. Although rejuvenant treatments have kept her physically agile, Serillian’s outward appearance hints at her advanced years, as she appears as a handsome 60-year-old woman. She favors archaic and elaborate gowns and a formal, if out-of fashion hair style that makes her appearance more formidable and harsh. Beneath such finery, however, the Inquisitor is hard as steel, and her piercing, ice-cold grey eyes betray a keen and ruthless intelligence. The Lady Serrillian has no known friends, and maintains a very direct and business-oriented relationship with all around her. There is no socialization with those who work for her, no down time. She is totally dedicated—during all waking hours—to the task at hand. Inquisitor-in-training Adonai Drusus and Inquisition stormtroopers are among the most active members of Lady Serillian’s team. Two Death Cult assassins serve as the ultimate sanction for enemies of the Imperium. The Death Watch can be summoned from Watch Station Vigilia. Titus and Magnus are Crusaders, holy warriors recruited from the Ecclesiarchy to serve as close-combat troops for Lady Serillian. SNOWS OF DARKOVER (651.M41)—As a young acolyte, Serillian serves under Inquisitor Konrad von Marburg in an investigation of xeno ruins on the desert world of Darkover. The Inquisition team discovers that a party of Tech Priests has been studying an arcane xeno device within the ruins—contrary to Imperial policy. Before von Marburg can order the device destroyed, it activates, revealing itself to be a transdimensional portal through which a swarm of hostile insectoid xenos emerge. The xenos and the device—as well as the offending Tech Priests—are eventually eliminated after a difficult fight. The deadly ice caverns of Mahkra, where Serillian fought smugglers and Eldar dealing in xeno artifacts. ICE CAVERNS OF MAHKRA (657.M41)—Serillian joins her master in investigating rumors of illegal trade in xeno technology on the ice world of Mahkra. Their investigation leads the Inquisition party into a maze of ice caverns beneath the planet’s largest promethium mining complex, where von Marburg discovers that the smugglers are working with Eldar traders—and the xenos have an extensive presence in the caverns. In the firefight that follows, von Marburg is killed. As ranking member of the Inquisition team, Serillian shows her potential, successfully retreating to the surface and imposing her authority over the planet’s Planetary Defense Force and Arbites. 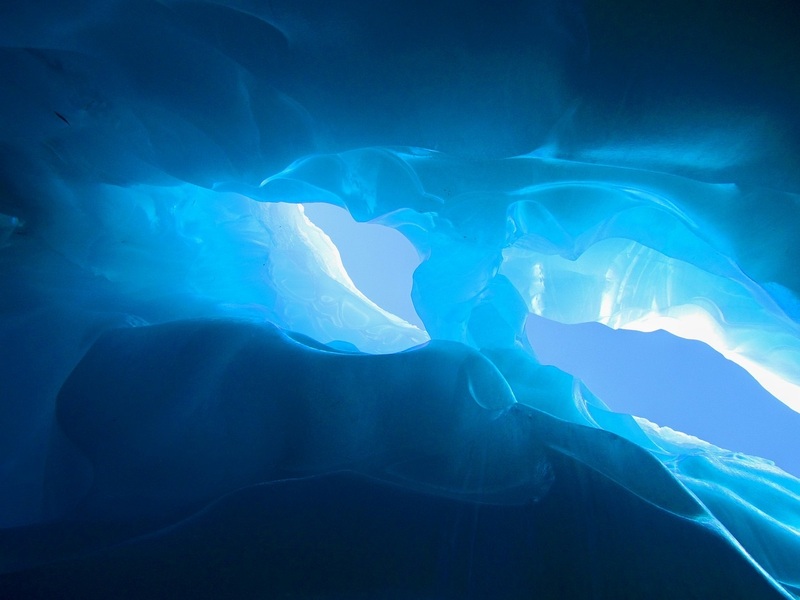 The ice caverns are searched, collapsed by explosives, or flooded with promethium and set alight. The smugglers and Eldar are captured or killed, and corrupt planetary officials who tolerated the smuggling are executed. THE OPTERA CONSPIRACY (659.M41)—The Ordos assigns Serillian to serve under Inquisitor Arnaut Catalan, who uncovers a parasite-colony of the horrific Hadrus Skin-Weavers that has taken control of senior Imperial officials on the world of Optera. With help from the Death Watch, Catalan and Serillian execute a purge of the planetary government and eliminate the threat before it spreads across the Segmentum. BATTLE OF THE DOG-SOLDIERS (684.M41)–Promoted to the rank of Interrogator, Serillian is assigned to work with the Deathwatch in the Kelgorite Sector, which is being terrorized by Tarrelian mercenaries. The Tarellians, a reptiloid species with long snouts (hence the term “Dog soldiers”), engage in hit-and-run raids that frustrate Imperial efforts to end the attacks. Finally, after analyzing the pattern of raids, Serillian determines the location of their base of operations and leads a Death Watch assault that eliminates the Tarellian threat at last. OUTPOST ON STROGGOS (701.M41)—Serillian ascends to the rank of Inquisitor, is awarded an Inquisitorial Rosette, and is assigned to oversee the protection of the Corvus Cluster. Thus begins operation of the Xeno-Conclave of Vigilia. On her journey to Watch Station Vigilia, she learns that communication has been lost with a nearby research outpost. Accompanied by her acolytes and a squad of Inquisition stormtroopers, the newly minted Inquisitor arrives at the outpost on a barren world and finds it empty. There is no sign of life—nor bodies—until one of her acolytes disappears as he explores a seemingly empty corridor. What follows is a terrorizing cat-and-mouse game with an unseen menace that strikes out of the shadows. Two acolytes and five stormtroopers die before the threat—a Genestealer—is finally cornered and dispatched with a heavy flamer. Serillian returns to her ship and orders the outpost razed from orbit. REBELLION ON YANGON (714.M41)—Although her duties focus largely on the xeno threat, Serillian responds to a festering rebellion among the workers of the forge world of Yangon. Uncovering involvement of the cult leader, Voloh Gudag, Serillian takes advantage of the enmity that the Knights of Altair harbor for Gudag and requests their assistance to capture this criminal. The chapter’s response is everything Serillian could have wished for. Marshal Ioculus himself arrives on the planet with the Terminator-armored 1st Company. The Knights’ battle barge scarcely arrives in orbit before drop pods and Thunderhawks descend on the capital hive city and crush the rebels within days. INCIDENT ON HYBERIA II (726.M41)—Members of the Tau’s Water Caste appear on Hyberia II, a modestly populated world to the galactic south of Belliose and adjacent to the border of the Tau Empire. Their presence alarms Serillian, who understands that the Water Caste—posing as traders—often negotiate illegal trade agreements with greedy Imperial merchants, the first step to undermining the loyalty of Imperial citizens. Serillian’s agents threaten planetary leaders with arrest unless the xeno contamination is suppressed. The Tau are banished upon pain of death, but soon after their departure, Tau military forces invade. A short but vicious war breaks out between the xenos and Imperial forces, a fight that is soon ended with the arrival of the Knights of Altair Space Marine Chapter. The Corvus Cluster is a Warhammer 40K blog that documents our wargaming adventures in the fantastical sci-fi universe of Games Workshop.